On a mission to give women back time and help them dress confidently, Hayley and Karen joined forces in January 2018 – the rest is history. At a time when dress codes were changing in the corporate world, the former colleagues bonded over the shared frustration of deciding what to wear to work each day. This “ah ha” moment led to more insightful conversations with women. They discovered the problem wasn’t just deciding what to wear, there was more to it, they found women were becoming increasingly time poor, they were grappling with wardrobes full of mismatched clothes and they felt like no one designed for their unique body shape. Hayley and Karen have set out to create more than a simple and natural fashion label. They are driven to solve problems for women whilst challenging the waste of fast fashion. As a young girl, Hayley’s favourite pastime was exploring fashion-filled shopfronts. As a school girl, Hayley would spend hour upon hour thoughtfully assessing the clothing and designs on display before analysing her response to different trends. It didn’t take long for Hayley to develop her style. She understood the anchor point of her ability to dress and present herself confidently, albeit differently, through her carefully selected garments. Despite her natural calling to fashion, Hayley went on to pursue a corporate career in Marketing where she remained for two decades. By the time she was 38-years-old, Hayley had become the Head of Marketing for a global company. In what would have a been a pinnacle point of success for most, Hayley could not ignore her burning desire to pursue her dreams and at 40-years-old, enrolled at the Whitehouse Institute of Design. Fully immersed in the world of fashion, Hayley embarked on her mission to create a minimalistic wardrobe with quality timeless pieces. As the co-founder of One P, Hayley is now following her real passion. Unlike Hayley, Karen only ever saw clothes functionally. While Hayley perused the shopping centres for fashion, Karen was flying past on her push bike wearing board shorts, a T-shirt and thongs. The irony is not lost on this duo. The former colleagues both understand diversity in experience, ideas and passions is necessary for innovation. 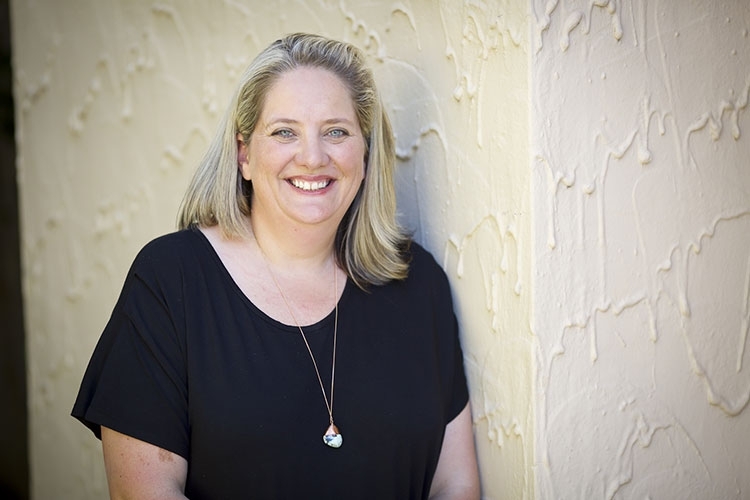 Karen pursued her interest in human behaviour at university and took her psychology learnings into the corporate world, leading multiple disciplines including Customer Experience, Innovation, Marketing, Product Management, New Product Development, Sales and Operations. Karen’s track record in leadership has given her a deep understanding of business and the process of building high performing teams. Karen excels in complex environments where a commitment to customer centricity and innovation needs to be developed across an entire organisation. 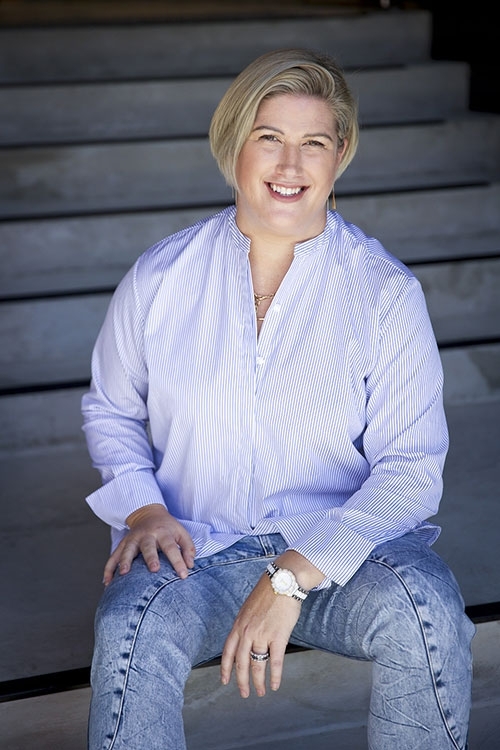 Karen’s passion lies in developing purpose led strategies for organisations and community. One P has given Karen the opportunity to connect with women from all walks of life, to understand better how they use clothing emotionally and functionally.